A great card and gift for a 1st Holy Communion. Perfect for a daughter, son, neice or nephew, granddaughter or granson. 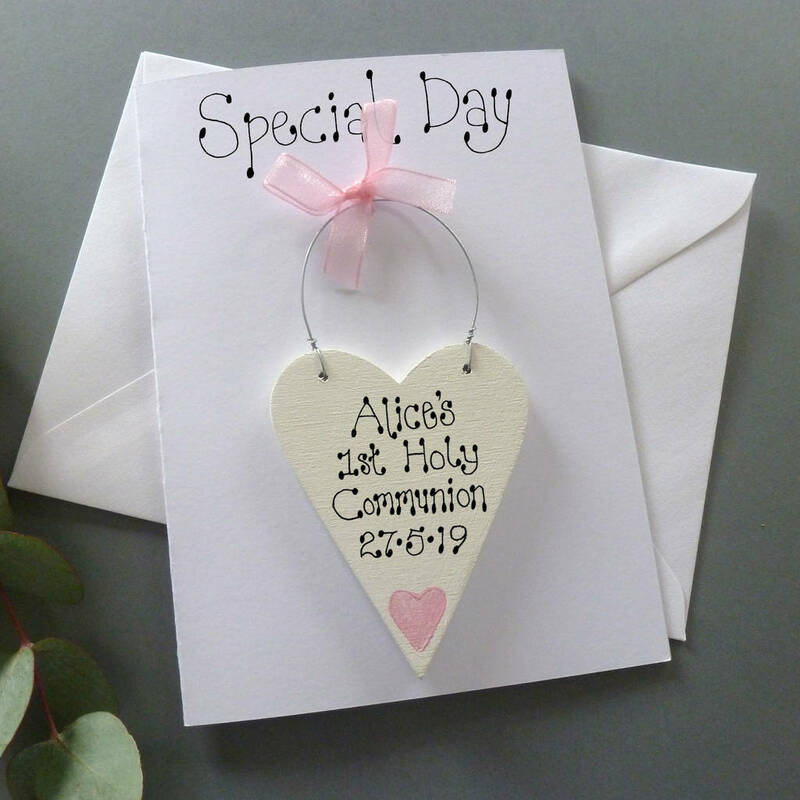 A lovely card to celebrate the day with a detachable keepsake to keep and treasure. A card guaranteed to delight. 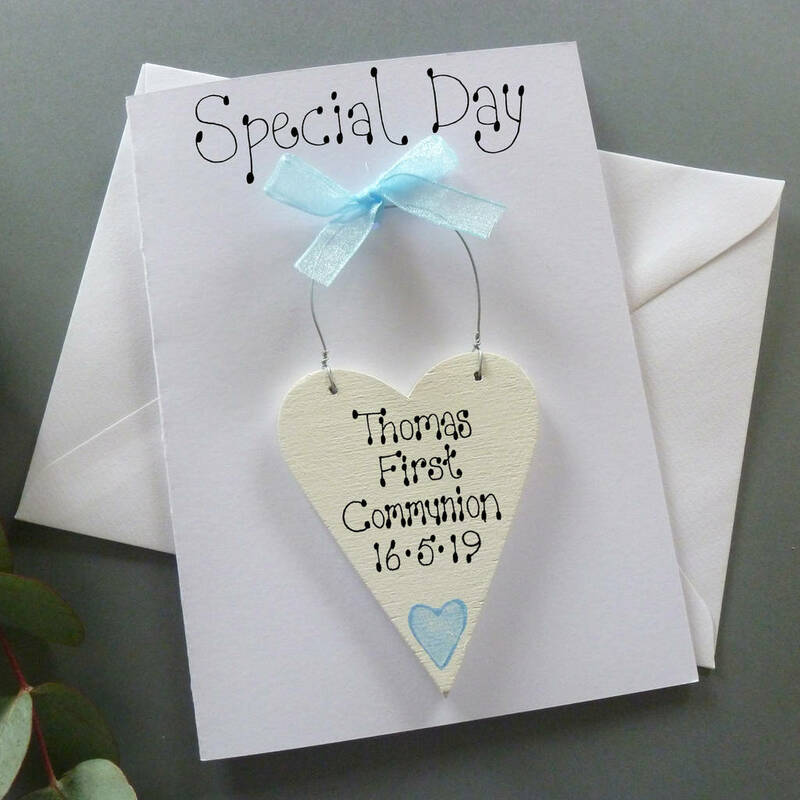 This card can be personalised with your child's name and the date of their ceremony. You can select from 4 options. Pink or Blue with a heart motif and Pink or Blue with a cross motif. The heart itself is ivory in colour, hand painted in eco friendly paints. The card and enevlope are white. Blank inside for you to further personalise your card. Our cards are entirely hand made. All cards are printed at the top with 'Special Day'. The hearts are hand cut, painted and decorated then inscribed by hand with black lettering. They are therefore a unique and different gift sure to please. Can also be used to celebrate a Confirmation day or Christening or Naming ceremony.